If one looks casually at the writer Jesmyn Ward’s vita, the impression is that she has lived a most fortunate life. Raised mainly in DeLisle, a black community on the Mississippi coast, Ward, however, had her share of hardships. Her parents fought and finally divorced; Jesmyn was bullied at school. But the family her mother worked for offered to send Ward to a local private Episcopalian school where she did well. After high school, Ward earned the BA and MA degrees from Stanford where she was a Stegner Fellow and the MFA from the University of Michigan. She later was the Grisham Visiting Writer-in-Residence at Ole Miss, where she wrote the bulk of this memoir. Ward’s first novel, Where the Line Bleeds (2008), is the story of twin brothers. 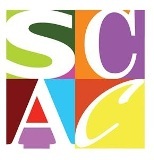 Her second, Salvage the Bones (2011), published while she was teaching at the University of South Alabama, won the National Book Award even though it had just been released, there had been no reviews, and the reading public had barely seen it. The judges were rightly amazed. Candid, but in lyrical imagery, Bones captures the life of a poor black family as Hurricane Katrina looms, then strikes. Now we have this painful, raw memoir, and it is not the story of literary and financial success, the rising out of difficult circumstances, that one expected. Although Ward is an attractive young woman of thirty-seven, with national awards and a professorship at Tulane, she writes in large part of her lifetime of depression, suicidal urges, and self-loathing, that sense of worthlessness rooted in what she saw as white culture’s hatred of her and which she kept at bay with alcohol and marijuana. 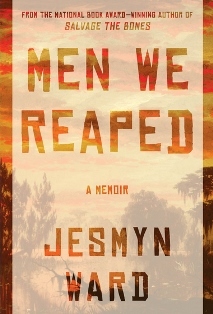 Men We Reaped is an autobiography, Jesmyn Ward’s life story, but is organized around the deaths between 2000 and 2004 of five young black men, four of them friends, one her brother. 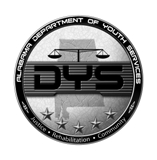 The deaths are distinct, but as Ward sees it, death “stalks” all black youth, especially males, and is caused, directly or insidiously, by the inequality and racism around them, by a culture which engenders in black children despair and hopelessness. The jobs are lousy, the future looks bleak and the lack of opportunity generates bad decisions. The dead young men are not angels, but they are still, basically children. Men We Reaped is distressing to read and was clearly distressing to write. One can hope there was a healing in the telling and look forward to whatever this extraordinary writer decides to do next.